Paper: 21 x 8.7 cm printer paper (this is the paper that is left from an A4 after you cut out a square). Back to basics for the last model of the year! 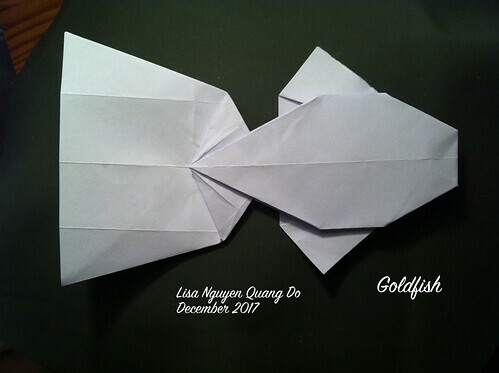 This entry was posted in Diagrams, Models on January 2, 2018 by lisanqd. When thinking of the people who inspire me the most, my parents immediately come to mind before anyone else. From a mother who is her son’s heroine, to the son who is his mother’s world, everyone can be a hero. 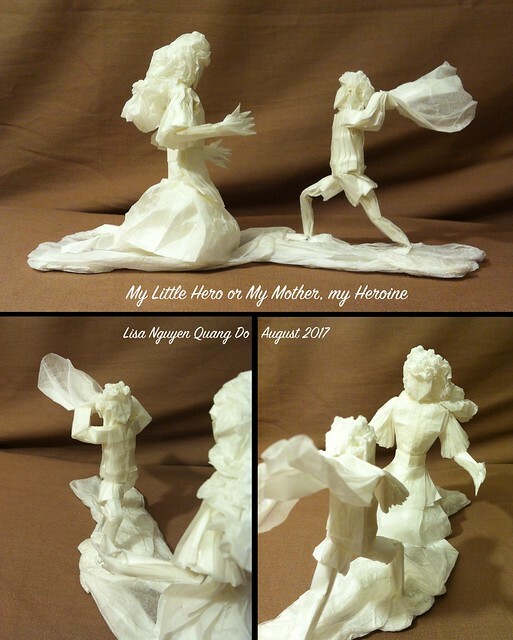 Folded for the Paper Heroes exhibition 2017. This entry was posted in Models on August 10, 2017 by lisanqd. 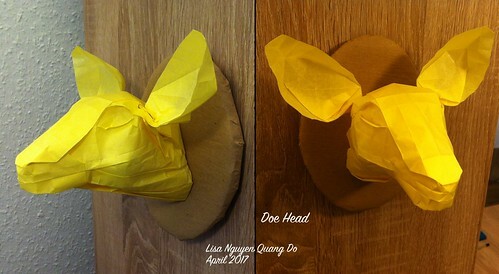 Variation on the Doe Head with antlers. 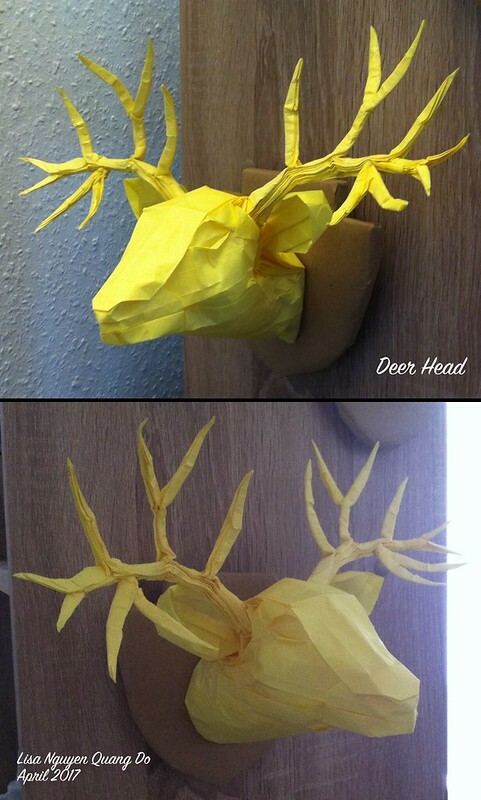 The antlers hold thanks to wet-folding. The paper is very thin, and once dried, holds very solidly. This entry was posted in Models on April 27, 2017 by lisanqd. I never noticed that before folding this piece, but does really have huge ears! Similarly to its companion piece, the Cheetah Head, this model is based on box-pleating, except for the eyes. Glue has also been used to close up the model on the sides. 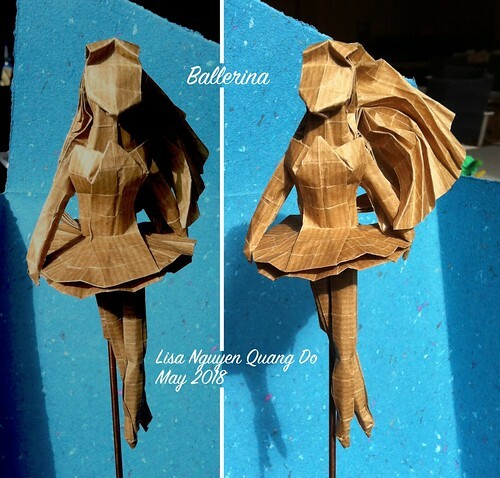 This entry was posted in Models on April 17, 2017 by lisanqd. I originally wanted to do a full cheetah in box-pleating, but was never satisfied with the lack of details of the head. I then decided to experiment on the head alone, and it proved more of a challenge than expected! 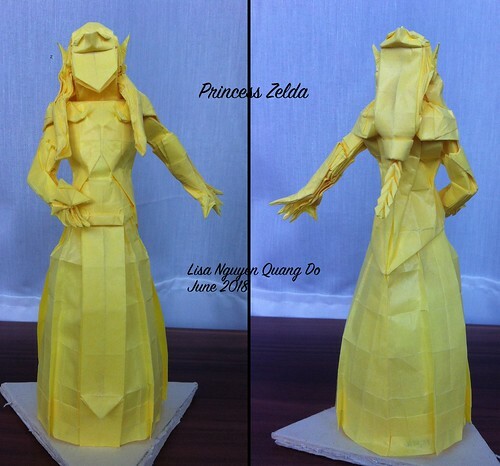 The model was fully based on box-pleating. The fangs and ears still are, but the eyes are now inspired by the amazingly expressive way Daniel Chang makes the eyes of his masks. I wanted the model to be viewable from any angle, so a liberal amount of glue has been used to close it up, instead of hiding the locks and leaving a dead view angle. This entry was posted in Models on February 13, 2017 by lisanqd. 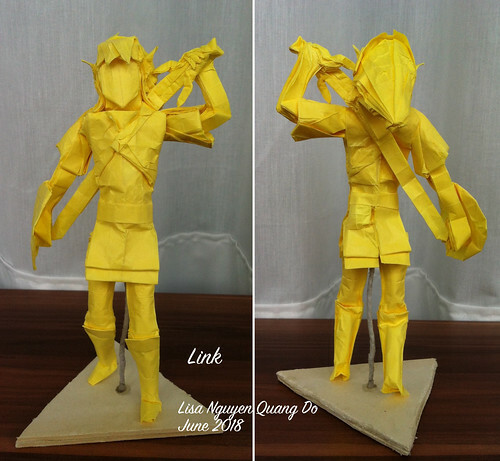 This model came to me after the Origami Deutschland 2016 meeting in Erkner. 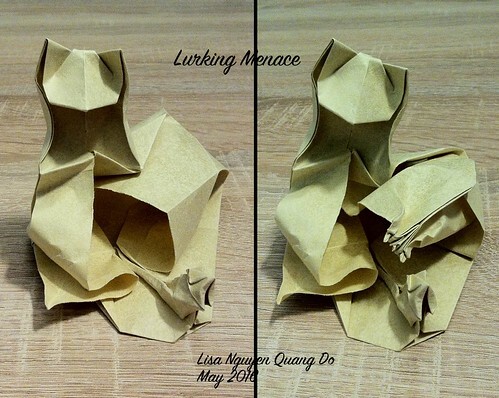 In a sense, it is inspired from Alexander Kurth’s work, especially his Guardian of the Last Geometry, and is mixed with my 4 Mice to create a combination of formal origami and a more flowy, intangible menace. I would have preferred making the cat even more of a shadow, but this is the most I could do without actually wet-folding the model. I will teach this model at the OUSA meeting this summer. Looking forward to it! 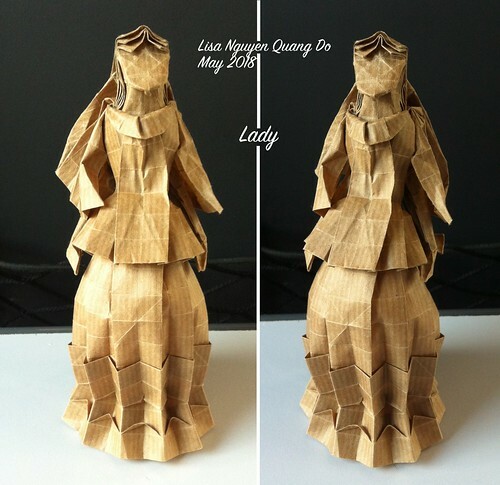 This entry was posted in Models on May 28, 2016 by lisanqd.